Martin Bernstein has been heard with numerous ensembles across the world, in venues ranging from 17th-century Roman palazzos to modern art museums in Reykjavik to the concert halls of New York City. Bernstein began studying recorder at age five, first with Charles Sibirsky and later with Nina Stern. At 18, he left New York City to study at the Royal Conservatoire of The Hague with Reine-Marie Verhagen and Han Tol; he has also studied with Michael Form. 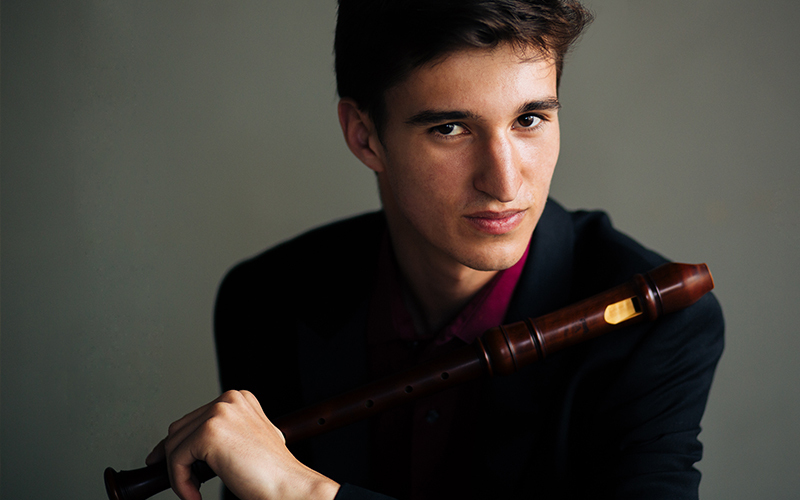 Bernstein has won awards at several national and international competitions, including first prize at the Mieke van Weddingen International Recorder Competition in Belgium and second prize in the International Young Talent Search hosted by Maurice Steger and the Malaysian Philharmonic Orchestra. 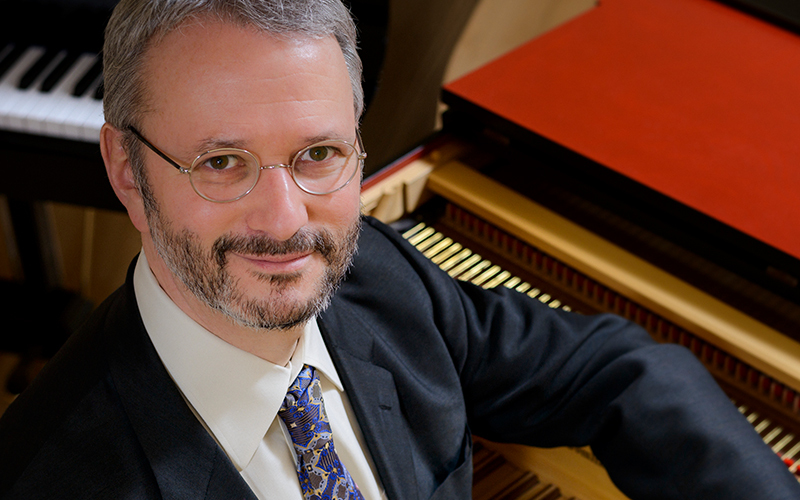 Bernstein has been featured on US National Public Radio, and he serves on the faculty at various American early music festivals and workshops. He is currently pursuing a degree in history and philosophy at Harvard University. 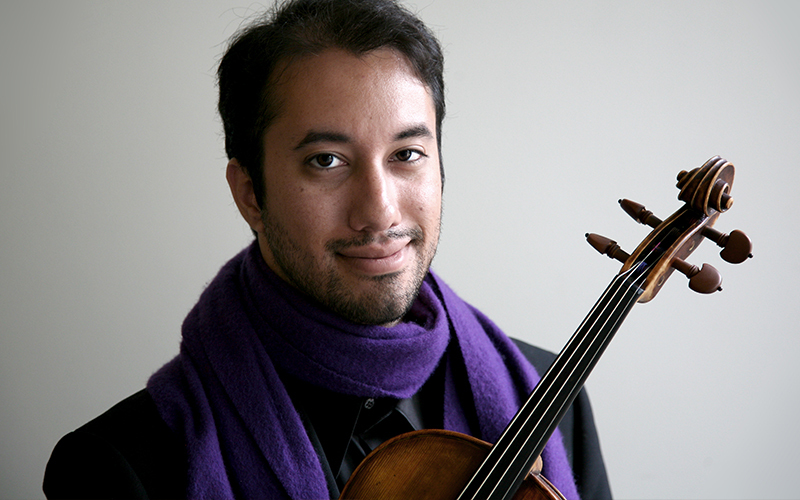 Violist Vijay Chalasani is a performer, scholar, and teaching-artist whose work focuses on the performance practice of music of the last five centuries. Equally at home on both modern and historical violas, Chalasani was featured as a soloist in performances ranging from the Walton Viola Concerto and Bruch Romanze with modern orchestras, to Bach’s 6th Brandenburg concerto and the Telemann Concerto for Two Violettas with period orchestras. Chalasani is a founding member of the Northern California based baroque chamber orchestra Sinfonia Spirituosa, and performs frequently on period instruments with ensembles such as American Bach Soloists, Pacific MusicWorks, Early Music Vancouver, and the Albany Consort, as well as in chamber music performances of works from the classical and romantic eras on historical instruments. In addition to the concert stage, Chalasani often performs in less traditional venues such as bars, cafes, and house concerts, and has appeared in cross-genre performances with a wide range of artists including rock band Third Eye Blind, hip-hop orchestra Jazz Mafia, and indie-folk group Americana Orchestra. Acclaimed for her ‘sterling tone’ in the New York Times, Kris Kwapis appears regularly as soloist and principal trumpet with period-instrument ensembles across North America, including Portland Baroque Orchestra, Early Music Vancouver, Pacific MusicWorks, Bach Collegium San Diego, Staunton Music Festival, Indianapolis Baroque Orchestra, Chicago’s Haymarket Opera Company, Tafelmusik, Bach Society of Minnesota, Callipygian Players, Bourbon Baroque, and Lyra Baroque. Her playing is heard on Kleos, Naxos, ReZound, Lyrichord, Musica Omnia and Dorian labels, including the 2013 GRAMMY nominated recording of Handel’s Israel in Egypt, and broadcast on CBC, WNYC, WQED (Pittsburgh), Portland All-Classical (KQAC), Sunday Baroque and Wisconsin Public Radio. A student of Armando Ghitalla on modern trumpet, with a BM and MM in trumpet performance from the University of Michigan, Dr. Kwapis holds a DMA in historical performance, and lectures on historical brass performance practice. Dr. Kwapis enjoys sharing her passion with the next generation of performers as a faculty member at Indiana University’s Jacobs School of Music Historical Performance Institute (teaching cornetto and baroque trumpet) in addition to teaching at her home in Seattle and online. When not making music, Kris explores the visual art medium of encaustic painting. 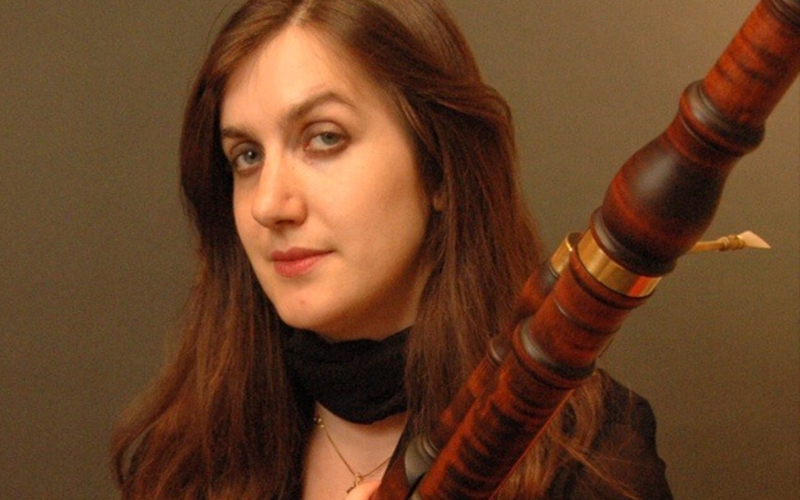 Anna Marsh, baroque bassoon, was highlighted by Philadelphia’s Broad Street Review: “…memorable solos for Anna Marsh…a perfect evocation of a flowing river” and Boulder’s Daily Camera: “the real highlight may have been Anna Marsh on bassoon. Marsh’s concerto received a well-earned and warm ovation.” Anna owns six bassoons from different eras and plays with Opera Lafayette, Tempesta Di Mare, Tafelmusik, Opera Atelier, Pacific Musicworks, Atlanta and Portland Baroque, Trinity Wall Street Baroque Orchestra, Washington Bach Consort, among others. She is bassoon faculty at the San Francisco Early Music Society Baroque Workshop and the Hawaii Performing Arts Festival where she also runs the Instrumental program. She is the co-director of the Renaissance and Baroque group Ensemble Lipzodes. She holds a Doctorate of Music in Historical Performance from Indiana University and her MM from University of Southern California. She played the Opera Royal in Versailles six times and performed and lectured for the music department of the Washington DC National Gallery of Art. She has been heard on Performance Today, Harmonia, the Super Bowl, CBC radio and on the record labels Chandos, Analekta, Centaur, Naxos, Avie, and on Musica Omnia’s Grammy nominated album of Handel’s “Israel in Egypt”. Ingrid Matthews, Music Director Emeritus of Seattle Baroque Orchestra (1994-2013), won first prize in the Erwin Bodky International Competition for Early Music in 1989, and was a member of Toronto’s Tafelmusik Baroque Orchestra before founding SBO with Byron Schenkman in 1994. She has performed around the world as a soloist, chamber musician and guest director with groups including the New York Collegium, the Australian Brandenburg Orchestra, the Bach Sinfonia (Washington DC), Ars Lyrica (Houston), and many others, and is currently a member of the esteemed Bay Area group Musica Pacifica. She has won high critical acclaim for her extensive discography; her recording of the Sonatas and Partitas of J.S. Bach is the top recommendation for this music by both American Record Guide and Third Ear’s Classical Music Listening Companion. 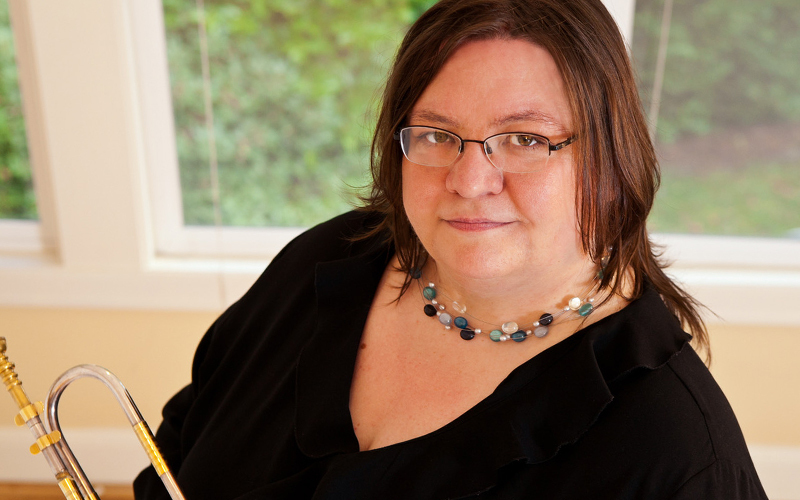 Matthews has taught at Indiana University, the University of Toronto, Oberlin College, the University of Southern California/Los Angeles, and the Cornish College of the Arts in Seattle. She also plays jazz and swing styles and is active as a visual artist. 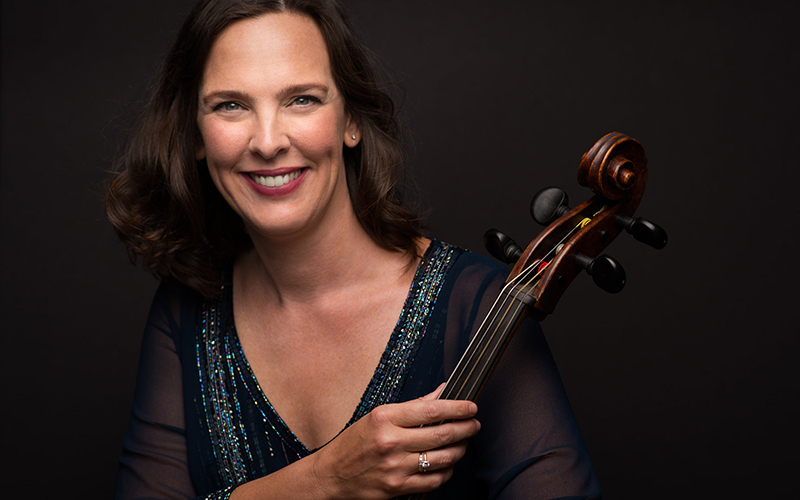 Elisabeth Reed teaches viola da gamba and Baroque cello at the San Francisco Conservatory of Music, where she is also co-director of the Baroque Ensemble. Recent teaching highlights include master classes at the Juilliard School, the Shanghai Conservatory and Middle School, and the Royal Academy of Music. Her playing has been described as, “intense, graceful, suffused with heat and vigor” and “delicately nuanced and powerful” (Seattle Times). 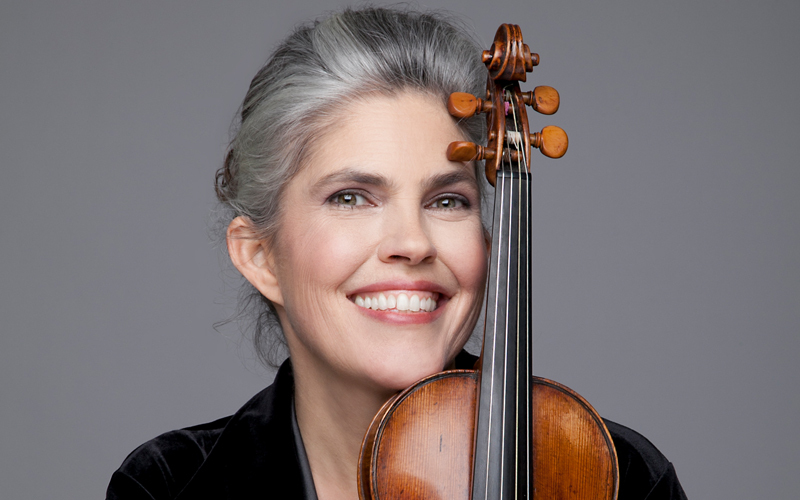 A soloist and chamber musician with Voices of Music, Archetti, and Wildcat Viols, she has also appeared with the Smithsonian Chamber Players, the Seattle, Portland, Pacific, and Philharmonia Baroque Orchestras, American Bach Soloists, Byron Schenkman and Friends, Gallery Concerts, and Pacific Musicworks. She has performed at the Boston Early Music Festival, the Berkeley Early Music Festival, the Ohai Festival, the Whidbey Island Music Festival, and the San Luis Obispo Mozart Festival. She can be heard on the Virgin Classics, Focus, Plectra, and Magnatunes recording labels and has many HD videos on the Voices of Music Youtube channel. She also teaches viola da gamba and Baroque cello at the University of California at Berkeley. She is a Guild- certified practitioner of the Feldenkrais Method of Awareness Through Movement, with a focus on working with musicians and performers. 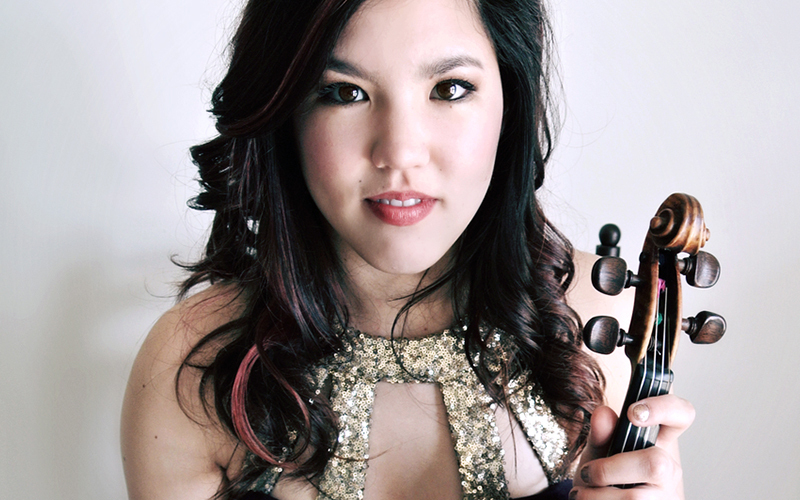 Performing with “unerring beauty” (The Classical Music Network), international prize-winning violinist Rachell Ellen Wong is recognized as an “emerging artist to watch and seek out” (Early Music America). Her virtuosic performances span the musical spectrum; she is known for applying historically informed practices to music of all periods. Originally from Seattle, Wong has soloed with orchestras across the US and abroad. Recent appearances include Juilliard415, Orquesta Sinfónica Nacional de Panamá, New Zealand String Quartet, and recitals with world renowned pianist Anton Nel. She most recently won the 4th prize in the XXI International J.S. Bach Competition. She has also won grand prizes in the 52nd Sorantin International String Competition and International Crescendo Music Awards. Recent music festivals include Berkeley Early Music Festival, Valley of the Moon Music Festival, London Masterclasses, and the Sarasota Music Festival. Rachell is a proud Kovner Fellow in the Juilliard School’s Historical Performance program. She received her Master’s as a Jacobs Fellow from Indiana University, where she studied with Mark Kaplan and Stanley Ritchie. Her Bachelor’s as a Starling Distinguished Violinist is from the University of Texas. She loves to explore her multi-race heritage by studying diverse styles, including the Scottish fiddle. 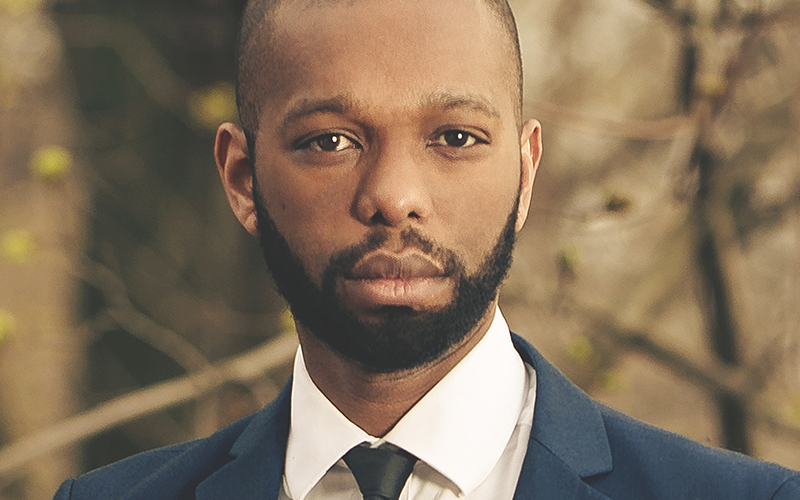 The American bass-baritone, Jonathan Woody, obtained his Bachelor of Music degree in Vocal Performance from the University of Maryland, College Park and completed his Master of Music degree in Early Music at McGill University in 2010 as a student of Sanford Sylvan. Jonathan Woody maintains an active performing schedule as a concert and operatic singer. He is a sought-after performer of early and new music in New York and nationwide. 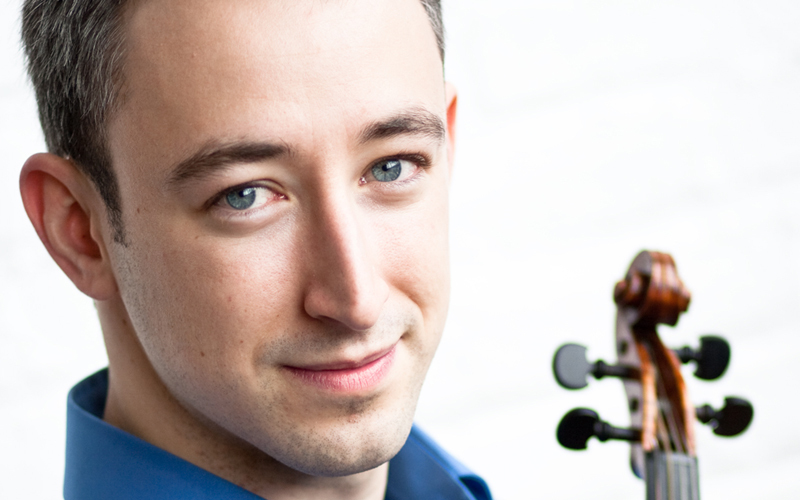 An early-music specialist, he is equally comfortable as soloist and ensemble member. Called an “artist worth keeping an eye on” by the Washington Post and noted for “clarity and fire” by the New York Times and called “charismatic” and “riveting” by the New York Times, he is a member of the Grammy-nominated Trinity Wall Street Choir, where he is consistently featured, often in performances of works by George Frideric Handel and J.S. Bach. 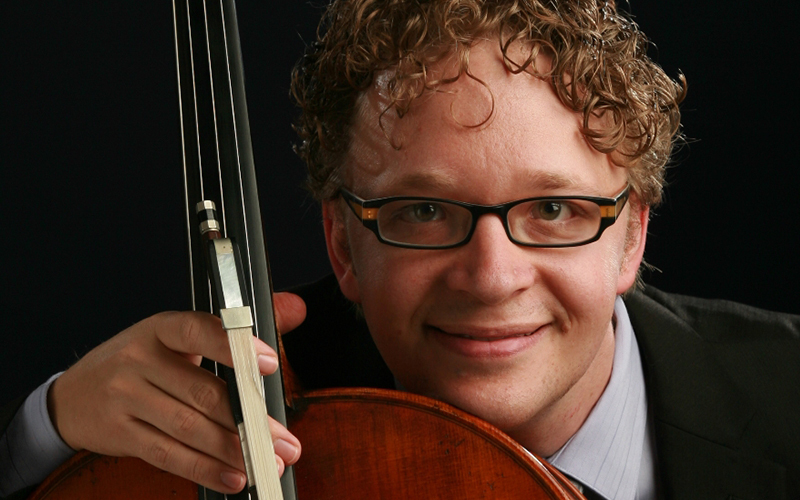 He performs regularly with ensembles across the USA; recent engagements include performances with the Green Mountain Project, the Clarion Music Society, Musica Sacra, Antioch Chamber Ensemble, TENET, Signal Ensemble, Prototype Festival, Spire Chamber Ensemble, Santa Fe Desert Chorale, Brooklyn Baroque and Gotham Chamber Opera. Jonathan Woody has recorded with the Trinity Wall Street Choir under the Musica Omnia label, most recently being featured on the premiere recording of Ralf Yusuf Gawlick’s Missa Gentis Humanae for 8 voices. In May 2014 Quill Classics featured him as soloist for a concert of German and French music by Brooklyn Baroque and Friends at the Church of St. Luke in the Fields in New York City. He currently resides in Brooklyn, New York.